It is a variant of Notebook 7 Spin which runs on Chrome Operating System instead of Windows 10. the structure of the ChromebookPro is quite impressive. It has a metal unibody design with the 360-degree hinge. You can rotate the screen and make it work as a tab. It is also said that it supports for a stylus. Stylus is the PEN given for operating the device. It is the premium version of the Chromebook series. Talking about the specifications of the Chromebook, it comes with 12.3 inches touch display with a resolution of 2400 x 1600 pixels. Some websites are claiming that the product will have 13 inches display. Over the processor, the device is powered by 2 GHz hexacore processor coupled with 4 GB of RAM. There is an inbuilt storage of 32 GB. The battery of the device offers supports up to 10 hours. About the dimensions, the Chrome book Pro is just 13.9 mm thick and weigh about 1.08 kg (2.38 pounds). 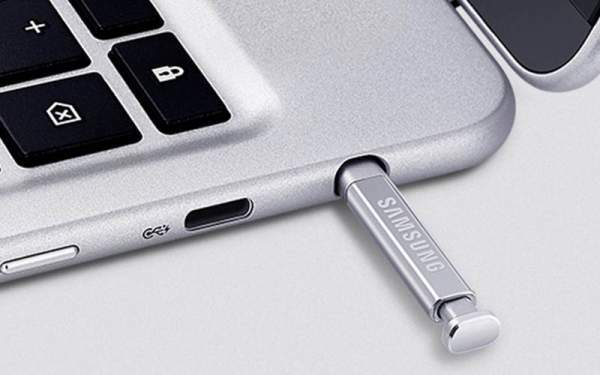 Other connectivity options like a headphone jack, two USB type-C ports, and an SD card slot are said to be available for the device. There is one interesting feature about this notebook. You can download any app from the Google Play and can run n the system. The apps can be installed on the system using an inbuilt feature which supports Android apps. Multiple apps can be run at one time using multi-tasking technology. “Enjoy a true-to-life, natural PEN experience, and draw – or write – whatever you feel using the ArtCanvas app preinstalled on your Chromebook Pro and take screen captures. A quick and satisfying click is all it takes to begin practical note-taking or to get going with a range of drawing apps,” are the words for the Chromebook Pro by Samsung. Check: Xiaomi Note 2 Release Date. Making Chrome as the OS of the device, the company has made it an open-source notebook which is specially designed for large screens. The device is open for pre-orders. You can book your model at $499 (Rs. 33,400). The device is going to release on 24 October as per some of the e-commerce websites. Hope that a good product will launch in the market, and we can get a chance to use a Chrome-based OS device. There are many expectations of the people from the device. See: Red Dead Redemption 2 News. Stay tuned to The Reporter Times for latest Chromebook news and all other tech/gadgets updates across the globe. What are your views and thoughts regarding this? Feel free to share.